Are Unique Fundraising Ideas Sufficient for Crowdfunding Success? Will Unique Fundraising Ideas be Sufficient for Crowdfunding Success? Are unique fundraising ideas only what you need to successfully raise money? Well, if you’ve had the word ‘crowdfunding’ stuck in the corners of your mind, then the chances are you’ve seen more than a few success stories in the last few months. It always happens like that, doesn’t it? You cotton on to an idea or a concept and you see it everywhere. You notice all the six-figure tales of entrepreneurial success, all the have-a-go Charlie’s who actually pulled it off. I’ve got a question for you — what if the next one were you? Sound familiar? Maybe you have your own version of ‘Yeah but…’ that’s holding you back. It’s an excuse, we all have them. The trick is to focus on the first question, not your first answer. So I’ll ask again — what if the next great crowdfunding success story was yours? If you’re going to be a success, you need to work out WHY someone, anyone would donate their hard earned cash to help your dreams come true. Business (and life) has shown us pretty succinctly that people only act when they have incentives to do so. So what incentives can you offer? Why should I give my five dollars to you and not the guy behind the checkout at MacDonalds? What can you offer that’s better than that burger? We’re not talking about a magic wand that turns a drunken pull into marriage material. Leave the silver bullets at the door and find a solution that means something to the man on the street. Not every man, just a guy like you who’s wrestling with life’s same niggles. It can be a simple product — revolutionize the humble bottle-opener, devise a nifty changing mat, invent a jacket that folds into a chair that folds into a bed (I’m still working out the finer points of that one). It can be a service, a novelty — a cat-lovers cafe or a barber shop for beards (hipster’s ahoy). Whatever you can dream, you can crowdfund. And if you’re feeling particularly crafty, or still waiting for a muse to strike, you can always pop on over to alibaba.com. You’d be amazed at how many products selling there appear on Kickstarter, rebranded and repackaged. It might be ever so handy in real life, but that isn’t the only thing that drives backers. They want your clever gadget to make it into the real world because it’s a cool idea. Don’t believe me? Take a look at campaigns for Potato Salad or The Greek Bailout Fund. It’s cool; it’s fun, and it’s attracted about $1.3m in support from over 60 countries. This Golden Rule is as applicable to venture capitalists as crowdfunding success stories. PEOPLE FUND PEOPLE; not ideas, projects, or services. If they don’t like you, if they don’t have confidence in you, then they’ll never part with their cash — even if you create a holographic phone or the coolest jacket that transforms into a chair that transforms into bed (Okay, I may be focusing a little too much on this chair idea). If you’re not likable, you’re not fundable. So, use all your charm and charisma and make people like you! You are feeding the undernourished, helping the poor or fixing earthquake damage. You are providing a community with social benefits, and igniting the interest of backers while you’re about it. People are kind (well, mostly), and they want to invest in good causes that make a difference. So this is where friends and family come in, but they’re not the only ones with a part to play. Make your campaign personal and you’ll be inundated by strangers willing to help, to play a part in someone’s (maybe your) success story. You wanted people to help you for free? It doesn’t work like that. People (even kind ones) want something tangible for their money. Provide some great perks at great prices, make sure they can’t get them anywhere else and watch the backers roll in. Eric Reyes, the author of “Lean Startup,” has this point nailed. He introduced his new book exclusively on Kickstarter, mentioned that the book would not be sold anywhere else and created a limit market with all the attendant frenzy and excitement. The outcome? A cool $600,000 pledge total. But we’re not all well-known authors. Most crowdfunders make discount quotas instead. They’ll offer the first 100 backers a 60% discount of the market price, the next 200 a 45% discount, the next 300 backers 30% discount etc. In this way, they incentivize their backers and reach 30-40% of their funding goal quickly. After that things go much better. 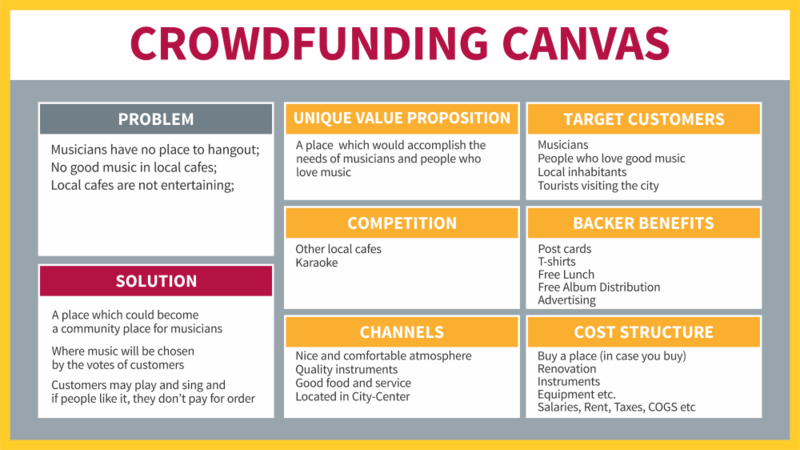 So, What Type of Projects Work Best in Crowdfunding? Remember, you’re solving a problem for people just like you. Stress the benefits to your target audience. This means you actually need to have a few benefits knocking about. If you have decided to enlarge your business, because you want to become the richest person of your neighborhood then that’s on you, but what will your backers get out of it? The campaigns that fail are most commonly the ones that focus on the benefits to the campaigner. STOP speaking abou YOURSELF! It’s not a story you tell to your grandchildren. If you don’t add a BIG WHY to all these statements, and clearly speak about benefits people will get, you have a pretty good chance of closing your campaign on $15 (we all make this mistake to begin with — myself included). You can have the greatest product, but you have to know it well enough to target the people who actually want to buy it. Clearly define who is your target audience and what they have in common (age, gender, hobbies…etc). The clearer and more specific you are in defining your audience, the better your chances of gaining their trust and, of course, their money. Try to connect with as many like-minded individuals and organizations as you can, because that will be your support team. Try to become part of their community and ask them about your idea. Collect as many responses as you can, it will help you to have feedback directly from your consumers and to position your project from the right angle. The more explicit is the problem that you are talking about, the better your chances. Your target audience needs to have experienced the same problem as you did. If there is no actual problem, then there is no benefit either. I have heard this many times, when I ask who your target is, do not tell me ‘EVERYBODY.’ Targeting everybody equals Not Targeting At All. Specific sells, specialized sells even more! It is much better to create a better life for one child, dog or a cat, than humanity in it’s entirety. I can see the benefit your product affords my cat, I’m not that open minded about the rest of the world. Ever heard the saying ‘Jack of all trades, master of none.’ Yep, so’s every backer, consumer and adult on the planet. If I ask you what you do, don’t tell me you ‘want to create a company that will do design and programming, trade goods, donate to the poor, engage with charity projects, advise children and save the unicorns.’ What? You can’t be serious, I’ve forgotten the first point by the time you’ve rattled out half of your list. My memory is limited, no one’s worked out how to hook it up to the cloud yet, so don’t expect me to waste space on your unwieldy business plan. The less you talk, the more people remember. This is a good lesson for most situations. Backers just need to remember the main things, not your life story. I know that everything about your story is important to you, and you’re eager to share it but honestly, I couldn’t care less. Give me just enough color to glimpse your personality, and leave the long speeches to your Gran. There are stories of people who just explain what they are doing and ask money to enlarge their business. So what? What are the results, who will benefit? People will not donate only because you decided to go for Crowdfunding, they need a reason, an outcome, something to help you achieve. This is very important guys, mention why you are crowdfunding. After what experience did you came up with this idea, why did you decided to solve this problem. We have already talked way too much about this. Crowdfunding for crowdfunding’s sake equals no funding. So far we have been talking mainly about content, but people love design! No matter how great your idea is, it should be packaged and positioned in a way to be attractive. People love pictures and most importantly videos. They play a great role in the overall success of the project. If you are not good at design, hire somebody from Fiverr or Upwork. It could cost you $30-60. Include several GIF Animated pictures, they really do great. Start looking on Indiegogo and Kickstarter at projects that are close to your topic. Again, you don’t need to have the most unique fundraising ideas that can be transformed into a project, look over these platforms to get inspirations from others (but don’t rip them off), there are plenty of great ideas out there. And there are project niches that have higher success rates. For example, if I am going to produce shoes, I will search shoes on Kickstarter and sort out the projects into successful and not-successful ones. I will analyze both groups to see what are the common features that successful campaigns share and what do the duds all have in common. This will give me an overall insight of what type of shoe projects work on Kickstarter, and those that don’t. Then I would try to reach out the authors and ask them what worked and what didn’t. This will give me insight into the shoe’s target market on Kickstarter. After the research you should have general understanding of the preferences, target market and competition. This will allow you to come up with an idea, which is unique and fits into your niche. Tell your idea to your friends. Collect their opinions. You can make a focus group combined of 5-7 people who fall squarely in your target market and give them a topic to discuss, record the meeting and analyze the results after. Create a poll with wufoo.com. They have free plans that let you collect names and email addresses of interested people and promote to them. Try to collect as many responses as you can; ask for an opinion about your idea. If you want to solve a particular problem, ask about that problem, is it a real problem? How do people see it? Remember, those people who participate in your poll are the ones who experience the same problem — they will be your main backers when you launch the solution. Clearly underline the needs that come up during your research. Maybe there was another, bigger problem that you initially considered that actually isn’t a problem at all? Take into consideration the poll results, you will be surprised how valuable they will be. See what the key questions that people were talking about were. Overall, try to estimate the needs of your target audience, their problem and your solution. What are the key questions and problems? Who is your target audience and what do they have in common? What niche does your solution fall in? (A niche is a segment or sub-sector in the overall sector. E.g. smart watches are a niche of the watch market). Last but not least: Positioning. The overall idea of the positioning is controlling how your audience and your customers perceive your product. Is it for a wide consumption or are you targeting a very specific group of people? What is your brand? You should be able to describe your brand with two-three sentences. Try to be short and simple. What does your target market want? What’s the main problem that you solve? What’s your method for solving that problem? Then, try to combine the sentences and you will get your positioning message. E.g. What does your target market want? Shoes that can be worn with any dress. What’s the main problem that you solve? Versatility. What’s your method for solving that problem? Chameleon shoes transform on your feet as if by magic. (I got bored with my jacket, chair, bed idea. Fanciful as it is, you get the point). Voila! Here we are with the one sentence that describes your product and will stick to people’s heads. Forget about buying a new shoe for your new dress, Chameleon shoes can be worn everywhere, transforming on your feet to a color and design that perfectly matches your outfit. Yes, testing and researching are important, but eventually you are the one who decides what to do and how to do it. Steve Jobs even admitted once that, had they asked their customers what they wanted, the iPone would never have been invented. Customers don’t always know what they need until they see it. Don’t worry, if someone else already did what you wanted to do. They’ve just pointed out that there’s demand. Just think how you can differentiate from your competition. Study their approach, understand what works and what doesn’t and beat them at their own game. Some of you might have heard of Business Model Canvas or Lean Canvas. It’s a visual chart with elements describing a firm or a product’s value, proposition, infrastructure, customers, finances etc. These techniques are used to document the company’s key metrics. 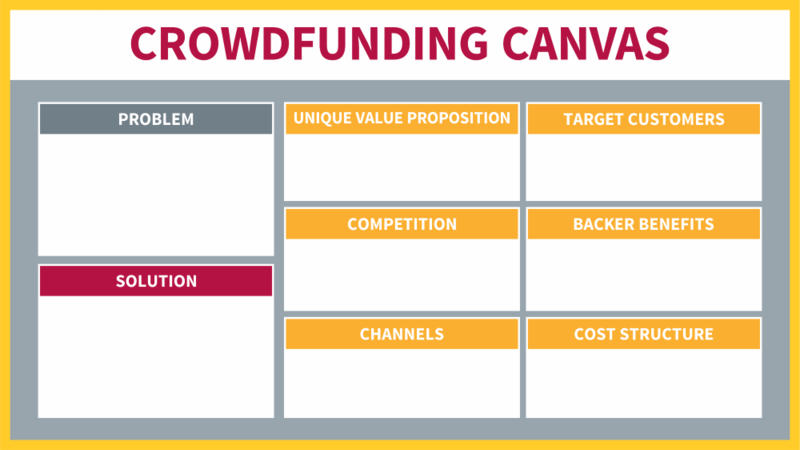 Using this approach, we have developed a new canvas, which assesses all the elements needed for preparing a crowdfunding campaign. Tailor-made to crowdfunding principles and requirements, it assesses the main elements you will need in your project when preparing for crowdfunding. 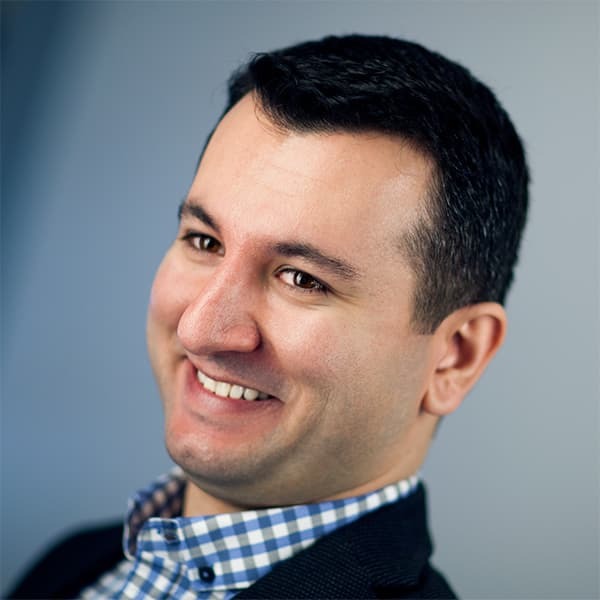 What are the key problems your customers face? How will you solve them? Who else delivers similar products? What channels will you use to deliver products to customers? What benefits will the backers have? Let’s assess these metrics one by one in an example and assume you want to open a unique café in your neighborhood that will be tailor-made to the needs of musicians. In our example, we won’t go too far, but depending on the demand you can specify more niches, e.g. café for classical or rock musicians. So in here, we are trying to find a niche for differentiation. Let’s name the café Tasty Mozart (don’t concentrate on real value of this project, rather pay attention to the breakdown of the metrics we will analyze). Assuming we conducted our research and found out that musicians of our neighborhood have no place to hangout. No good music (for musicians) in the local cafes. And there is no entertainment in local café. We want to solve these problems and offer a place where musicians will feel like they are at home. And this will result in a growing community of local musicians and customers who visit the cafe for the music. They can vote for the best songs and artists and these will get top billing at the cafe. This model means that there is always good music, the café doesn’t keep permanent musicians on staff and both the customers and the musicians are happy. In our example, it would be a place that meets the needs of musicians and people who love music. There are local cafes and karaoke but nobody delivers the products and services we deliver. So for musicians to be happy enough we have to have nice and attractive atmosphere. Let’s say we have to care about our location and be situated in the city center. * Backer Benefits column was added, based on the recommendations by our subscriber Aden Curtis. Basically there are two main cost divisions; capital expenses and operating expenses, The first ones are the assets you have, that will serve you more than one year e.g. you want to buy a place or land to build your café. Buy instruments and other equipment. Salaries, rent, taxes, input costs etc. And here’s our finished canvas! We have all the needed elements visualized and can start preparing. This canvas is smth so cool !! Thanks for such a great tool !! !